When someone is suffering from the progressive stages of memory loss, they will need additional support and assistance. Our caring team of professionals offers the knowledge and dedication needed to assist each resident in each unique case. A positive and uplifting atmosphere is vital to the success of healing, recovery, and rehabilitation. 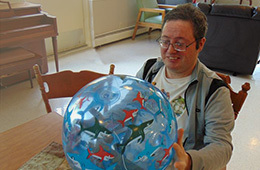 Livingston Manor Care Center employs outgoing and friendly professional staff to create social programs and activities to fit the residents’ needs. We provide a monthly activity calendar to each resident to keep them informed of upcoming events. Friends and family are always welcome to visit and attend our special events.